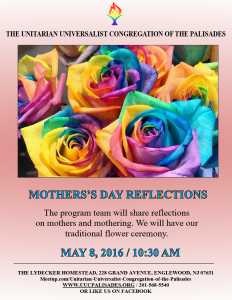 Please join us for today’s service led by the UUCP Program Team. 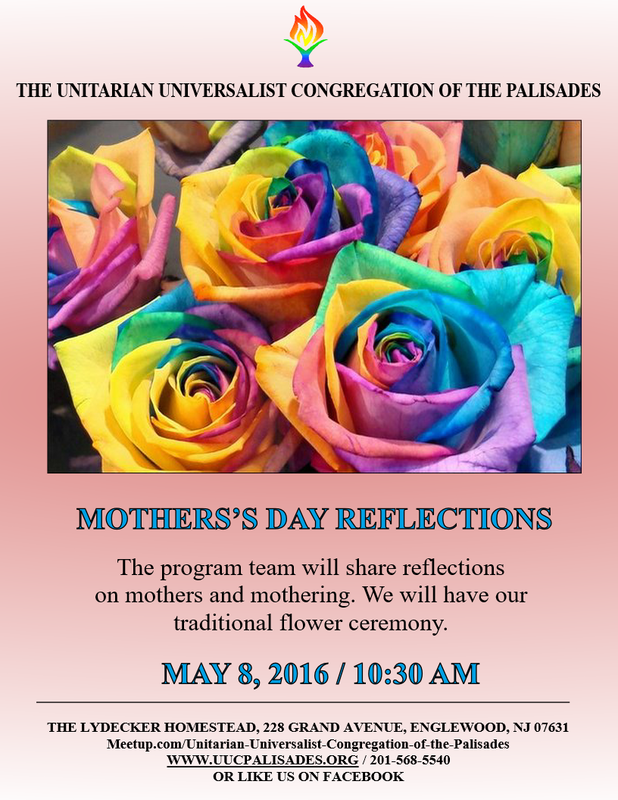 The program team will share reflections on mothers and mothering. We will have our traditional flower ceremony.